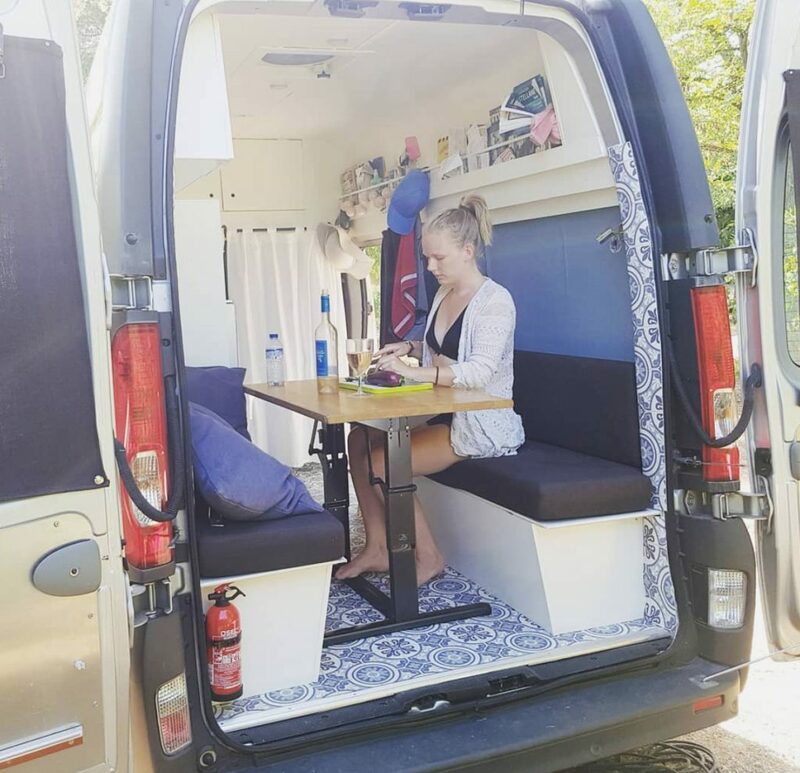 Since I started this blog about my vanlife adventures, I have gotten many questions about my Renault Trafic Campervan Conversion. 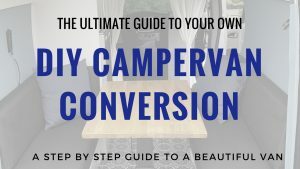 As I would like to help as many people as possible, I made a list of the top 10 questions I get about the campervan conversion 🙂 If you have any other questions, feel free to post them in a comment below! 1.1 Why did you go for a converted van instead of a “real” camper? 1.2 What did you consider when buying the van? 1.4 How long did the conversion take? 1.5 Did you outsource any tasks of the conversion? 1.6 What would you have done differently next time? 1.7 Where did you find your floor? 1.8 Where did you find your foldable table? 1.9 How do you get Wifi in your van? 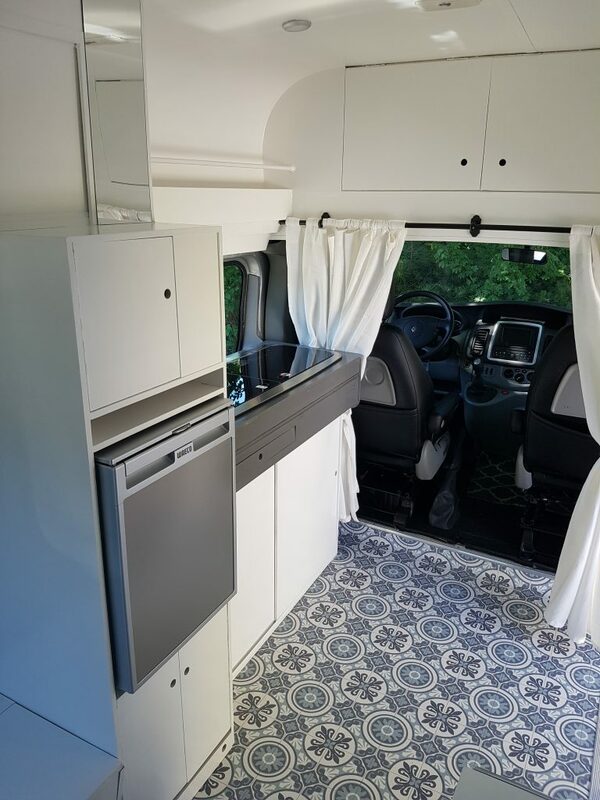 2 Questions about my Renault Trafic Campervan Conversion? Why did you go for a converted van instead of a “real” camper? This had a couple of reasons. First of all, I didn’t like the huge RV-like campers. Too big for me without any driving experience. And too expensive! Second, I didn’t like the (often Westfalia) lay-out of smaller campervans. 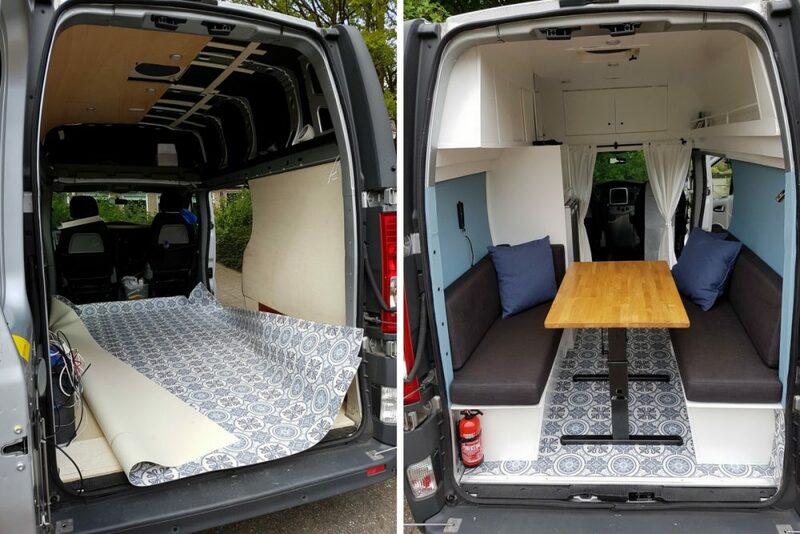 Because I work online as a digital nomad, I wanted to have a proper seating area / table and that was often not the case with these vans. Third, I wanted a pretty new car so I didn’t have to spend thousands of euro’s on maintenance every year. After the conversion, I had my van registered as a proper camping car / camper, because of the reduced road taxes. I had to go the RDW (Dutch road/car authorities) and register as a campervan. This was a bit of a hassle but worked out fine after all. What did you consider when buying the van? I think there are a couple of things that are important. Automat or manual: I wanted an automat, as I didn’t have much driving experience. But I found them to be quite hard to find in the Netherlands, so I ended up with a manual car. Size: I couldn’t handle a van that was too big, as I had barely driven a regular car before. So for me the van had to be of good size, but not too big! How old: 5 years. My car was pretty young and I liked it that way. It would mean no major issues in the upcoming couple of years, no issues with unavailable parts etc. On the other hand, if you get an older car you will run into fewer issues when driving to developing countries. In some countries, it is hard to find mechanics that know how the electronic equipment used in cars these days works. Where does it come from / how has it been stored: My car was used by the army for 5 years to bring military personnel to exercises and to bring food around. That also meant the car was not used much (see the mileage) and it was stored in a garage. I know other people that bought their car from a granny that drove in it once a week. Check how it has been used, whether it has been driving in salty/rainy conditions and if there is rust. I am (still!) in the process of writing an extensive blogpost on this. You can also find some indications in the general blog about my van conversion. But here are some key figures. My Renault Trafic campervan conversion cost about 22K in total. This is also the insured value. I built a modern van from the inside that I could really live in for multiple months. This meant for me a good fridge, good ventilation, good cushions and some luxury items. This also adds to the value of the van in case I want to rent it out later. 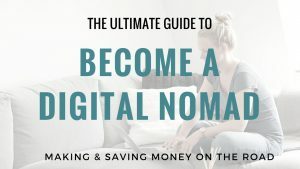 For an overview of how much I spent every month on the road, see the FAQ on vanlife here. How long did the conversion take? The conversion took 3,5 months. This was 3 days a week for me, every week for 12 weeks, and a lot more hours of my family that helped me out. My mum helped me a lot with ordering items, returning them if they were faulty, doing research, bringing cups of tea etc. My mums partner and a key figure in the van conversion put in so many hours for the finishing touches! Did you outsource any tasks of the conversion? I was pretty intimidated by this Renault Trafic campervan conversion project. In the beginning I was thinking about outsourcing things as the insulation, the ventilation including hole in the roof and the electrical installation. In the end, this was not necessary. After a lot of research and also talking to one professional camper builder, we decided to give it a shot ourselves. I tried to buy from professional (smaller) parties that would have the time to properly explain me things. 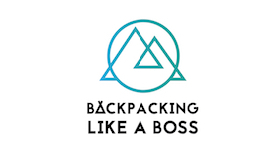 For example, I purchased my solar installation for my campervan from a smaller company and the guy really look the time to explain me things. This way I felt confident I made the right choice and that I could aways come back with questions. Also, as you can see in the picture below, I bought a kitchenette and my cupboard that includes the fridge from a camper building company to speed up the process. If I would have been able to do this project full-time I would have built everything myself, but this was an efficient option (kitchen one weekend, cupboard one day). What would you have done differently next time? 4×4 van > I would look at buying 4×4 van – this gives just a little bit more flexibility in where you park. Full-time > I would be available full-time instead of having to cram it in the weekends. I was so exhausted after the 3,5 months of the van conversion! Storage > I would use one of the walls without window to build more storage space. Where did you find your floor? Short answer! 🙂 Check it here. Where did you find your foldable table? Short answer! 🙂 Check this article on building a folding campervan table here. How do you get Wifi in your van? It’ss not that difficult if you know how 🙂 Check this article on Wifi in your campervan I recently published! Questions about my Renault Trafic Campervan Conversion? Wij hebben afgelopen week een busje gekocht die we gaan ombouwen tot camper. Heel veel zin in! 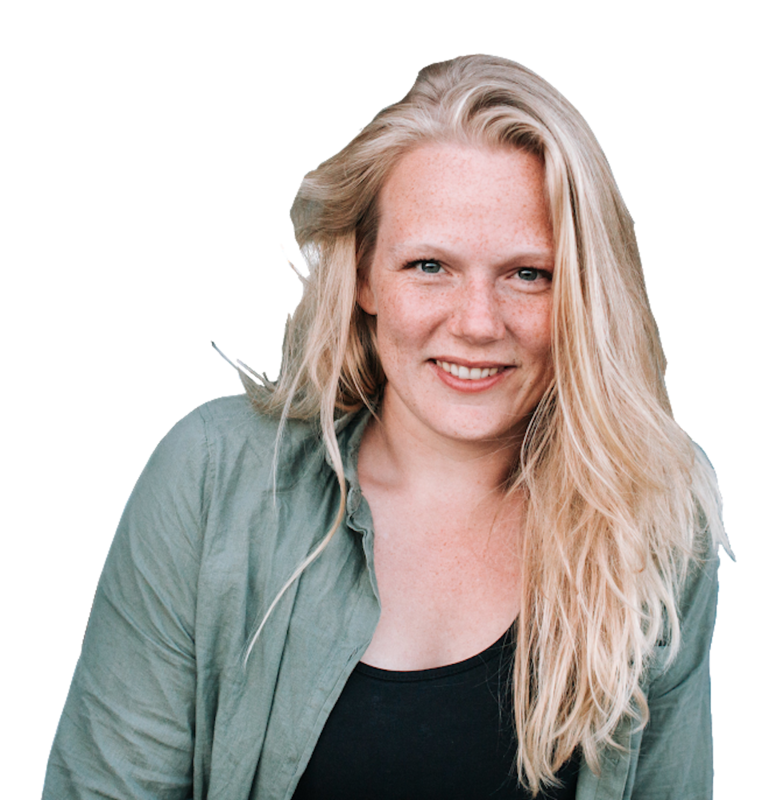 Wat zou je adviseren over de verlichting? Alleen spotjes aan het plafond en onder de kastjes? Of wat anders? Hoi Linda, gefeliciteerd met je bus! Super spannend 🙂 Ik zou het laten afhangen van bv hoeveel ramen je hebt en wat voor type lichtjes je kiest. Ik heb 3 lichtjes in het plafond die ik op verschillende sterktes kan zetten (waren wel duur maar werken echt top!) en een lees lampje en dat is meer dan genoeg voor mijn kleine bus 🙂 Succes met de verbouwing en als je nog meer vragen hebt stel ze gerust!